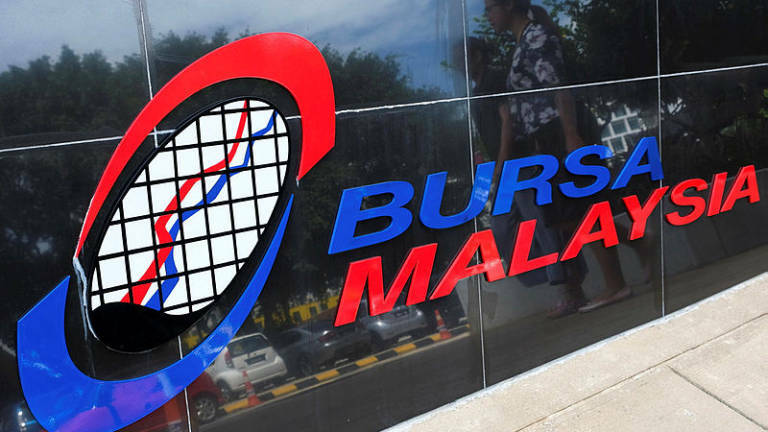 12 Feb 2019 / 10:09 H.
KUALA LUMPUR: Bursa Malaysia was rangebound in the early trade on cautious sentiment over external developments, dealers said. At 9.14am, the benchmark FTSE Bursa Malaysia KLCI (FBM KLCI) stood at 1,685.79, down 2.77 points from Monday’s close of 1,688.56. The index opened 3.66 points firmer at 1,692.22. A dealer said the local stocks market is expected to trade sideways as sentiment remained cautious ahead of another round of trade talks between US and China in Beijing. 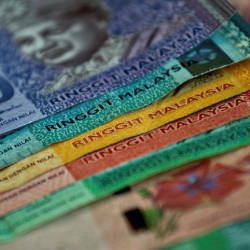 Among heavyweights on Bursa Malaysia, Maybank eased two sen to RM9.57, Public Bank lost four sen to RM25.04 and Petronas Chemicals shed seven sen to RM8.47. 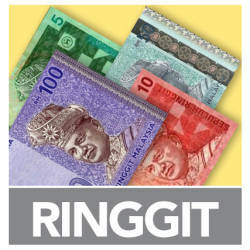 TNB and CIMB were flat at RM13.16 and RM5.76 respectively. Of the actives, Barakah Petroleum inched-up half-a-sen to 11 sen and VS Industry and MRCB added 1.5 sen each to 88.5 sen and 72.5 sen respectively. JAG and Sapura Energy were flat at 8.5 sen and 28 sen respectively. The FBM Emas Index decreased 4.511 points to 11,724.31, the FBMT 100 erased 6.78 points to 11,592.79 and the FBM Emas Shariah Index went down 5.48 points to 11,569.72. The FBM Ace Index improved 15.12 points to 4,598.64 and the FBM 70 rose 42.569 points to 14,007.18. Sector-wise, the Financial Services Index was up 3.67 points to 17,711.34 and the Plantation Index edged-up 25.4 points to 7,283.89 while the Industrial Products and Services Index was 0.35 of-a-point lower at 162.15. Market breadth was positive with gainers outpacing losers 192 to 99, while 181 counters were unchanged, 1,381 untraded and 23 others suspended. Turnover was at 175.42 million shares worth RM82.91 million.